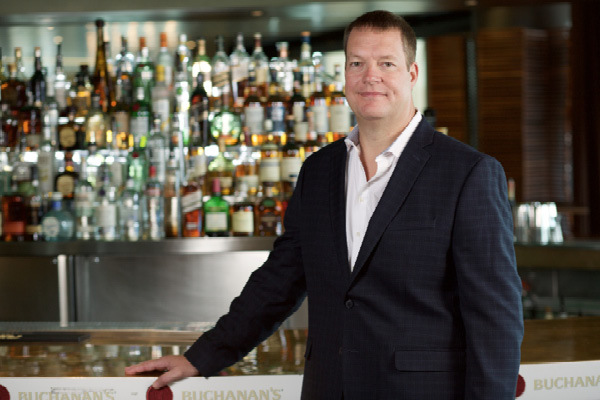 Erik Snyder is president of North America supply and procurement with Diageo, a leading premium spirits company and producer of brands including Johnnie Walker, Crown Royal, Smirnoff, and Guinness. Responsibilities: Oversee Diageo's end-to-end supply chain and procurement operation in North America, including sourcing raw materials, distillation, manufacturing, packaging, planning, and customer service. Experience: Senior vice president, global logistics; vice president manufacturing, Plainfield Illinois; supply director, Australia; vice president, logistics, North America, and other leadership positions with Diageo; senior manager, logistics, Nabisco; regional operations manager, The Pillsbury Company; zone operations manager, Frito Lay. At Diageo, we sell more than 200 brands in 180 countries and operate in 21 geographic markets. To drive efficiencies and process standardization in our global operations, we implemented a new manufacturing management system (MMS) about one year ago. It involves running "tier one through five" meetings, across all supply operations. Tier one includes frontline employees at our plants and warehouses, and tier five is senior management. We measure 20 key performance indicators (KPIs) in logistics, manufacturing, customer service, and other functions across all tiers. Within 30 minutes, we know what's going on in the business. It puts a sense of discipline and rigor into our business and makes it clear to business owners what they need to do.